Travel technology solution has enabled travel agencies to cross borders and have a global presence. A small travel agency backed with travel technology can give competition to giant players in the industry. After its advent, travel agencies are more efficient and provide quality service to their clients. The income level of people has increased over past few years and they travel a lot. Business trips are also increasing over past years. These factors have provided business opportunities for travel agents. The World is Market: Travel agencies were only able to offer their services to local travelers. This also led to limited revenue and sales. 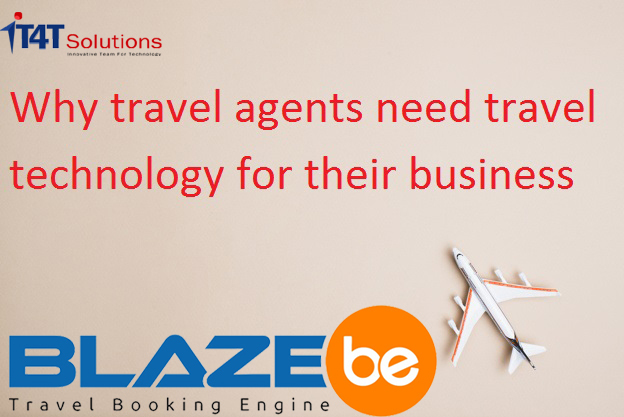 Travel Technology Solution makes a global presence of a travel agency and it enables Travel agents to offer their services to travelers in any part of the world. Earlier there was geographical limitation of clients for travel agencies. Its multi-lingual feature helps travelers from all over the world to book flight, hotels, and trips. A traveler from any country can plan his trip to any country in the world. It increases the number of customers and revenue of a travel agency. Also listing of your business on various platforms improves visibility of your services. Support and Availability: With Travel Technology Solution, Travel agencies provide Chat and call support to travelers 24/7. Travelers from all over the world can communicate with customer support 24/7. A customer can connect with travel agencies any time during the trip. Also, tickets can be booked 24*7 by travelers. Earlier before the advent of travel technology solution, booking was available only during office hours for travelers. These features result in the increment of sales and revenue of travel agencies across the world. Integration of travel technology solution with chat platforms like facebook messenger and WhatsApp allows travelers to connect with travel agencies anytime. Quality services to clients: Travel technology solution provides hassle-free services to clients. Travelers can plan and book trips at any time. Price comparison feature provides value for money to travelers as they get best options in their defined budget. The user-friendliness of travel technology solution makes it easier for travelers to book tickets and they can do it from any device like a laptop, mobiles, and desktops etc. This satisfies travelers and improves customer loyalty. It also improves brand image of your business. Travel agencies should hire a good travel technology company for the development of their travel technology solution.